The United Nations Convention on the Law of the Sea (UNCLOS) conveys sovereign rights to coastal states over the seabed and subsoil of their continental shelf. Article 76 of UNCLOS provides formulae that allow coastal states to establish a continental shelf beyond the 200m EEZ where the necessary criteria are met, and allows the state to explore and exploit the natural resources of the seabed and subsoil of this extended shelf. 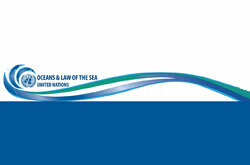 UNESCO, through its Intergovernmental Oceanographic Commission (IOC) is the recognised competent International Organisation in the fields of Marine Scientific Research (Part XIII) and Transfer of Marine Technology (Part XIV) of the United Nations Convention on the Law of the Sea UNCLOS (10 December 1982). IOC facilitates the harmonisation and marine science and the law of the sea at a global scale. For more information on IOC and UNCLOS click here. IOC has established an Advisory Body of Experts of the Law of the Sea (IOC/ABE-LOS) (IOC Resolution XIX-19). The Advisory Body is tasked with providing advice on the IOC´s role in relation to UNCLOS. IOC/ABE-LOS is an Intergovernmental body composed of two national experts (one with training in the Law of the Sea and the other with training in marine sciences) from IOC Member States. IOC has also published its own brochure on the Transfer of Marine Technology: Knowledge sharing and Capacity Development for sustainable ocean and coastal management. Working with the Foreign and Commonwealth Office (FCO) Law of the Sea Section, the UK IOC Office is a member of ABE-LOS helping, in recent years, to develop guidelines for the deployment of Argo floats that may drift into Economic Exclusion Zones (EEZs), analysing questionnaires on the transfer of marine technology, and identifying emerging issues on the science/legal policy interface. The UK also has a strong UNCLOS expertise through the Marine Geoscience Team at the National Oceanography Centre, delivering independent, high-quality scientific advice on territorial sovereignty, marine scientific research, resource management and the preservation of the marine environment. The UK also has strong links to the International Ship Research Operators (ISRO), with representatives from AFBI, Cefas, Marine Scotland Science and NERC (including BAS and the NOC). This is a forum which brings together research ship operators representing 49 organisations from 30 countries who together manage over 100 of the world’s leading marine scientific research vessels. IRSO membership is open to all research ship operating institutes or national research programmes that are engaged in the collection of data from ships at sea, and follow established protocols for the open publication of their results.